As it gets closer and closer to the dreaded finals week, as essay after essay pile up, and with the incessantly overcast weather, we thought there are probably a lot of negative feelings floating around. And you know, the best way of getting rid of negative feelings is to actually feel them. As you look at these here villains, let it all out. Yes, good. Let the hate flow through you. GAH! That ghastly face and that grotesque body evoke some innate sense of disgust and repulsion in all of us. We hate to be prejudiced, but the Xenomorph is so ugly that racism is almost okay. Somewhere, in some Tibetan mountain, there is a monk that is so enlightened that he can accept the Xenomorph as a beautiful creature produced by millenniums of painstaking evolution. For everyone else, it’s just a creepy alien. You don’t hate people just for being rich, you just get jealous of them. But Mr.Potter isn’t just a rich person. He’s greedy. He’s selfish. He’s dishonest. 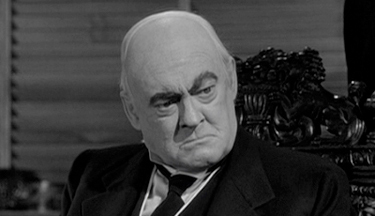 And worst of all, he’s got a horrific set of old man eyebrows. He makes a terrific villain because he’s such a caricature of a scrooge.